Second annual Palomar College Drone-Con. Conference tickets have sold out; media passes still available. Registration and breakfast begin at 7:30 a.m. in front of the Brubeck Theatre adjacent to Lot 1. 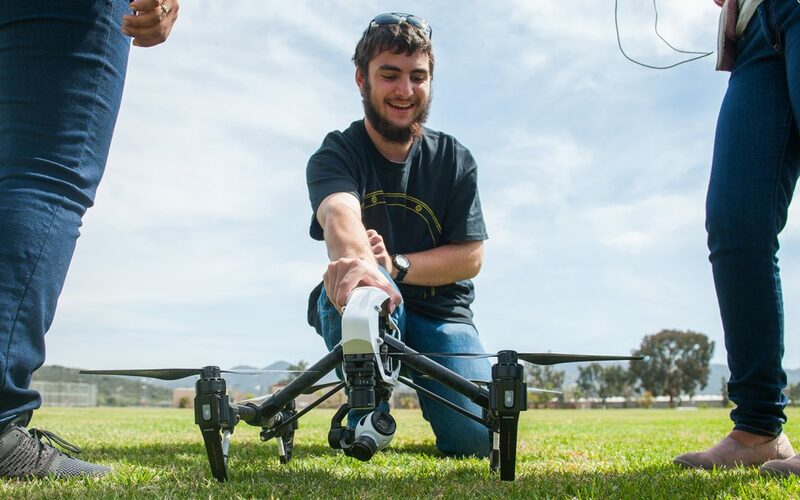 The second annual Drone Conference at Palomar College will bring together more than 200 educators, drone operators and professionals, military personnel, photographers and videographers, conservation scientists and drone entrepreneurs and engineers who are drone technology pioneers in their industries. Drones will be flown under controlled conditions during the conference, and exhibits include drone technology companies and industry organizations from 2:25 – 4:25 p.m. Please visit https://palomaruas.weebly.com/ for more information or to view the conference program. On the day of the event, parking will be available in Lots 1 and 2 off W. Mission Road.